Vietnam's prices of 5 percent broken rice climbed to the highest since January 2012, despite an ongoing mini harvest. Rice export prices in India fell this week to their lowest this year on sluggish demand before top buyer Bangladesh slaps import duty on exports of the grain after domestic production recovered. Rates for India's 5 percent broken parboiled variety fell by $6 to $393-$397 per ton. 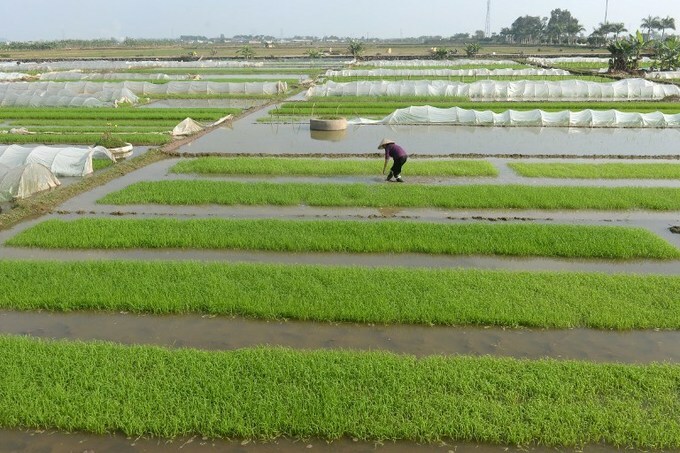 Meanwhile, in Vietnam, prices of 5 percent broken rice climbed to their highest since January 2012, at $465-$475 a ton, versus $455-$460 a week earlier, despite an ongoing mini harvest. Elsewhere in Southeast Asia, Thailand's benchmark 5 percent broken rice narrowed to $430–432 per ton, free on board (FOB) Bangkok, compared with $430–446 last week. Thailand's commerce ministry this week said the country had exported 4.98 million tons or rice from the beginning of the year until June 1.